Think about your best employees. What do they do? They stay at your company. They fit and contribute to its culture. They succeed in their jobs. When you get the right people in the right jobs at the right time, it’s transformational for your company. Conversely, getting it wrong is costly and a burden on your existing work teams. Recruiting and selection is the critical element to bringing in the talent you need. Many segments of our economy are experiencing a growth curve. But many companies aren’t able to keep up with their growth because they don’t have the people to do the work. They’re struggling to get the talent they need, so they’re having to say no to great business opportunities. Bonus: Get this post in PDF form to save, reference and share with colleagues. Click here to get it free. It’s the problem you think you’d like to have … until you have it! To keep growing, you need to step up your game at recruiting, selection and on-boarding to bring in the talent that you need. Below are the ten best practices that I’ve found in companies that have had great success in optimizing their hiring processes. Recruit proactively. Proactive recruiting increases the level of talent we’re accessing and helps ensure critical hires can be made expediently.In a traditional reactive recruiting model, somebody quits and HR scrambles to replace them with the first candidate that fits the bill.The position is usually filled faster rather than better, with a huge lag between when a person leaves the company and when they’re replaced.Proactive recruiting doesn’t rely on seeking people who are job hunting. When you recruit proactively, you develop relationships with current working people who are happy in their jobs. The key is to have a forecast of who you’re looking for.Once we know who we’re looking for, we can network towards a future opening. Having meetings and maintaining contact with candidates means that when an opening comes along, we’re ready because we’ve been building relationships with prospects all along. Link internal and external branding. Most people understand that the strength of a brand makes the customer recognize the company. When we see the McDonald’s arches, we automatically think fast, yummy food and we might have good memories from our childhood pop up.What most people don’t understand is that an internal brand is just as important as that external brand. We need to take the essence of the external brand and build an internal brand along with it.The same things that make customers want to buy from you make people want to work for you. When branding is strong enough, people can feel it and they want to be a part of it. Tap the genius of your internal teams. Recruiting problems are often handed off to HR as if they can deal with it alone, when in reality, employees across all functions can and should participate in the process. Often the people with the best ideas for recruiting are your own employees. The people that are the best fit for your company know where to find more of themselves. Use them!Start where the business problem is. From there, create teams of your best employees and have them brainstorm ideas. This approach helps figure out what’s really happening and generates a range of potential solutions for you to pick from. I once worked with a company that was opening a new facility in Texas far away from public transportation. We needed a hundred new employees but had no idea where to get them. If we couldn’t get enough good quality people, the next product launch couldn’t happen. We made sure the current employees understood what was at stake and built teams to figure out some solutions. They generated lists of ideas about what to do, where to look for people and how to create transportation options. They even came up with better approaches to on-boarding and training so that the people we hired could get into place earlier and easier. The project was a huge success. Ideal employees have the best ideas. But you never know what those ideas will be until you ask. Display recruiting metrics to track progress against goals. In Lean cultures, it’s important to set the goals the team is working toward and publish these with visual displays to track progress.Traditional HR recruiting metrics are quantitative: they focus on turnover and time to hire. These metrics don’t get at the qualitative aspect of hiring, which is a very human, service-oriented piece of business.If you go to a restaurant or any other service-related business, your level of satisfaction depends on your own viewpoint. It’s not as important for a restaurant to be 10% cleaner as it is for it to be clean to your satisfaction.It’s the same with recruiting. If you only measure turnover and time to hire, you miss out on this human piece. In other words, we need to give new hires a satisfaction survey. Looking at the qualitative aspect of hiring creates opportunities to improve based upon this information. Achieve more success using well developed processes. Our hiring process needs to hold the same information all the way through. The best way to do this to use checklists that correlate to the original job design at every stage of the recruiting process.For example, when you’re trying to fill a leadership position, you need to define the characteristics of a leader that you’re looking for. Traits could include anything from experience empowering teams to has competencies in coaching to high emotional intelligence. Once you have these traits defined, create a checklist for every step of the process that reflects these characteristics, including job descriptions, job requirements, interview questions and final ratings of candidates. Prevent mistakes with selection testing. Testing can save time and money, and it can even decrease turnover. According to Russ Day, who specializes in high level selection processes, a valid test can enhance productivity by as much as 20% – 120%, depending on the complexity and scope of the job.Depending on the type of position you’re looking to fill, some selection tests will be more appropriate than others. For leadership positions, emotional intelligence tests can be very effective. 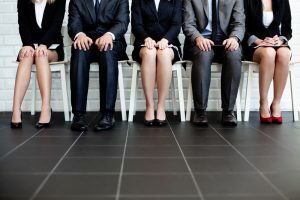 But there are also cognitive ability, personality and aptitude tests that may be relevant for the position you’d like to fill.The key is to choose the right tests and make sure you aren’t relying solely on test results to choose candidates. Testing works in conjunction with interviews and other background elements to help identify the right candidates. Use technology for an extra boost. A lot of extra work goes into the all-manual or half-manual systems many companies have. Applicant tracking IT systems decrease the valuable time it takes to reenter applicant information in these manual systems.With applicant tracking systems, you create a database of potential candidates similar to a customer relationship management system. You continually populate the system with people who would be interested in your company, not just people who put themselves in, and send regular communication to them. This is especially important if the job you would need to fill requires specific, rare qualifications, like a master sommelier. The larger the volume of potential candidates you have, the more time an applicant tracking system saves. Since it communicates with your human resources system once an applicant’s information is entered, you never have to do that unnecessary rework again! Take advantage of non-traditional sources for recruiting. 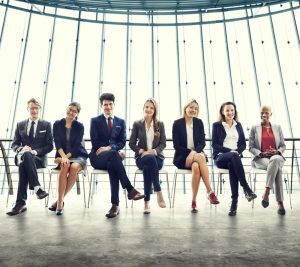 Traditional recruiters conduct all of the search for you and narrow the field to six or seven final candidates out of the 50 or 60 they found. You walk away with one candidate and end up paying the recruiter’s fee as a percentage of the new hire’s salary.When you hire in this way, you lose out on a valuable bank of candidates. With a non-traditional approach, you don’t. You pay a recruiter a flat fee per hour to find someone, and you get to retain all the candidates they found. You add them all to your applicant tracking system for future networking to fill openings. Treat on-boarding as mission critical. The job isn’t done once you hire someone. Usually if companies do recruiting and selecting well, they drop the ball with on-boarding. On-boarding is equally as important as recruiting and selecting. Poor on-boarding creates high turnover and unnecessary expense. To improve this process, take the team approach I talked about earlier and apply it to on-boarding.A few years ago, I worked with a plant that was struggling with a turnover problem. We created an employee team to figure out what better on-boarding could look like. One of their best ideas was to implement a buddy system where the best employees would become a buddy for a new hire. The new hire would shadow their buddy for a few days, eat lunch with their buddy the whole first week and keep checking in with them after that. They also suggested increasing the time for the training period, allowing new hires to better retain the information they learned. Turnover dropped a significant amount. But if employees hadn’t generated the system, they would have never owned its implementation. Choose a sustainable and consistent approach. Most of the companies I’ve met that are working on their hiring process struggle to make sure it’s being done consistently. They may have consistency issues across different locations or different managers, or maybe they struggle to maintain the system during the busier times of the year.A recruiting and selection system takes almost as much energy to tend to as it takes to design. The system needs to be well communicated and employees need to be trained to it in order for it to work for long periods of time. Often, people are trained at the launch of the system, but those hired a year later never are. Once you’ve developed a great way to do recruiting, you need to build in systems to help sustain it, or you’ve wasted your time. This usually looks like either an external or internal audit of the system to see if you’re actually doing all the things you said you would do. No matter what business you’re in, people are at the core of it. Recruiting and selecting is people-centered work, so it matters. It’s important. We have to design and maintain sustainable systems that create people-driven value for our businesses, because your business is only as good as the people who work for it. I’m not proposing you start all ten of these practices tomorrow. Pick something you can work on that makes sense for your business and start there. I’d love to hear what recruiting practices you’ve implemented in your business – comment below and let’s talk!